McConnell: I've Delayed The Trumpcare Vote Until "At Least 50 People Are In A Comfortable Place" [VIDEO] - Joe.My.God. Republican senators are headed to the White House Tuesday afternoon to talk to President Donald Trump about the future of the bill. McConnell says the White House is “very anxious to help” and encouraged senators to go to the meeting. 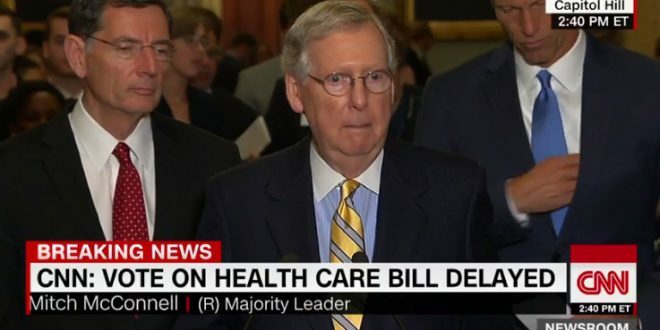 McConnell said health care is “a big complicated subject,” and complicated bills are “hard to pull together and hard to pass.” He told reporters on Tuesday that he was very optimistic.